RAGCD611 Available on iTunes, Amazon, Spotify etc. CD containing 11 songs + additional music video of "Guitarman". 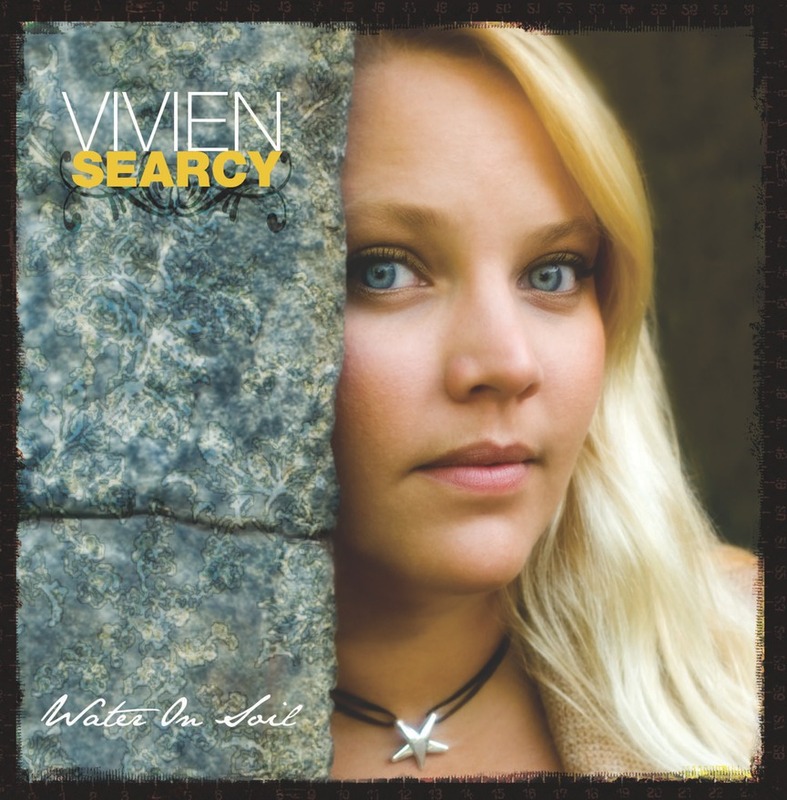 "To six of the eleven songs, Searcy has penned her own words and melodies. Modern arrangements wrap around uptempo songs such as Local Place or My Friend. Then you also can listen to more low-key titles, like Touch or the title track Water On Soil. Searcy proofs that she has also got a sense of humor with Dog Song, a track she wrote with her producer and manager, Patricia Viguurs. Beside the above songs, I personally favor Another Rainy Day and Talk To The Hand. Vivien is another good example, that US artists can be successful in Europe.